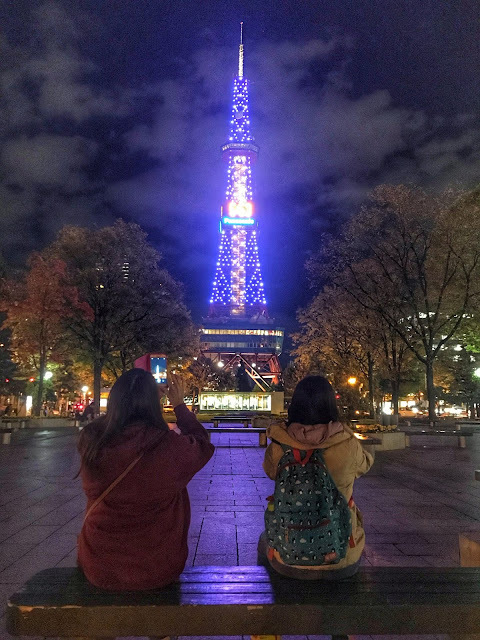 It has always been in our bucket list to visit all the regions of Japan. We have ticked off Toyko, Osaka, Kyoto, Nara, Kobe and Nagoya. Hokkaido would be the next in our list. 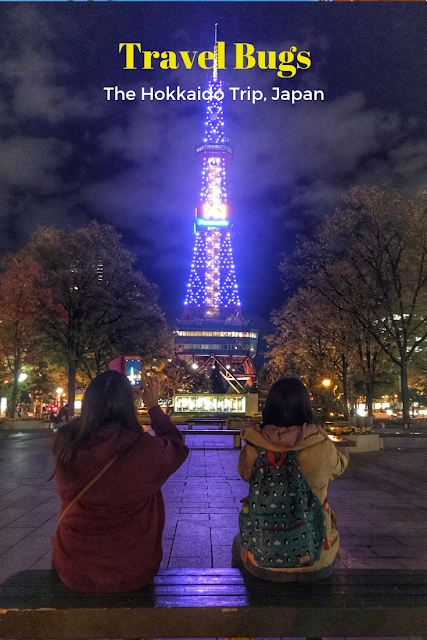 The trip nearly did not happened due to the September 2018 earthquake but we were glad that we took the decision to still fly to the northern region of Japan in October. It was autumn in Hokkaido. The rest was history. 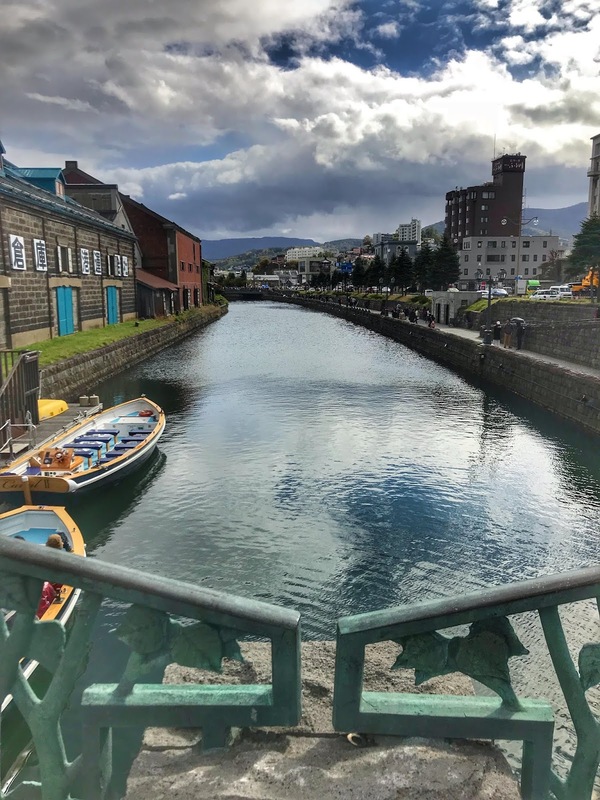 Hokkaido is Japan's largest prefecture and it is impossible to visit every part during our 2 weeks stay. Being this was our first trip there, I planned my trip on the more popular destination at the southern part of Hokkaido. I call it the "Southern Circuit". We would touch down at New Chitose Airport and took a Airport Bus Limousine to our hotel in Sapporo. 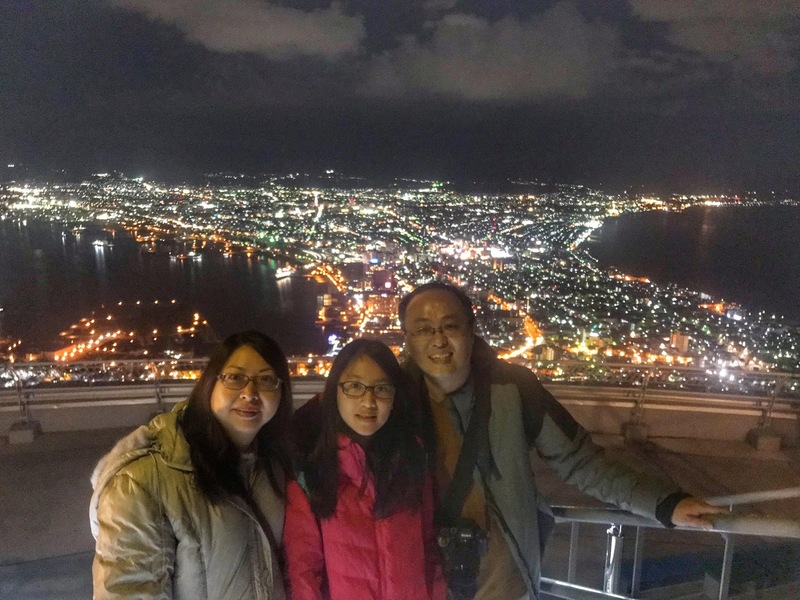 Sapporo was our base where we would make side trip to Otaru, (a small romantic city famed for it's music boxes and glass wares) and Asahikawa for it's famous Asashiyama Zoo. After nearly a week stay in Sapporo, we traveled by JR train (our main transport beside buses and trams) to Lake Toya. 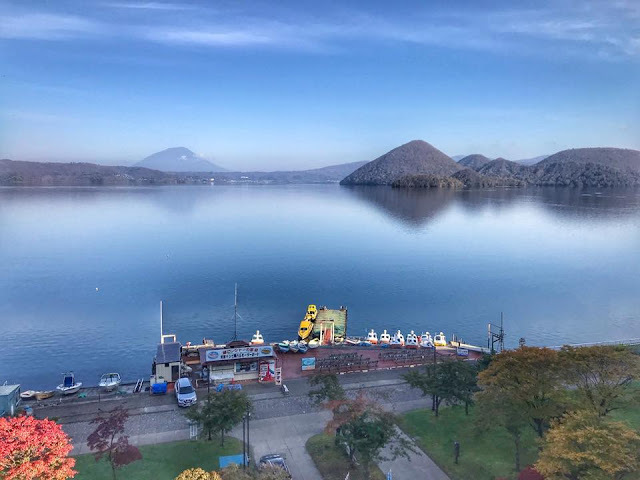 Lake Toya is famous for it's onsen and amazing lake view. We simply loved our 2 days stay there. Historic city-Hakodate was next. Apart from it's super fresh seafood, this city has many historic architecture and of course it's global famous night view from Mount Hakodate. After Hakodate, we would then proceed to Noboribetsu, another area famous for it's onsen. 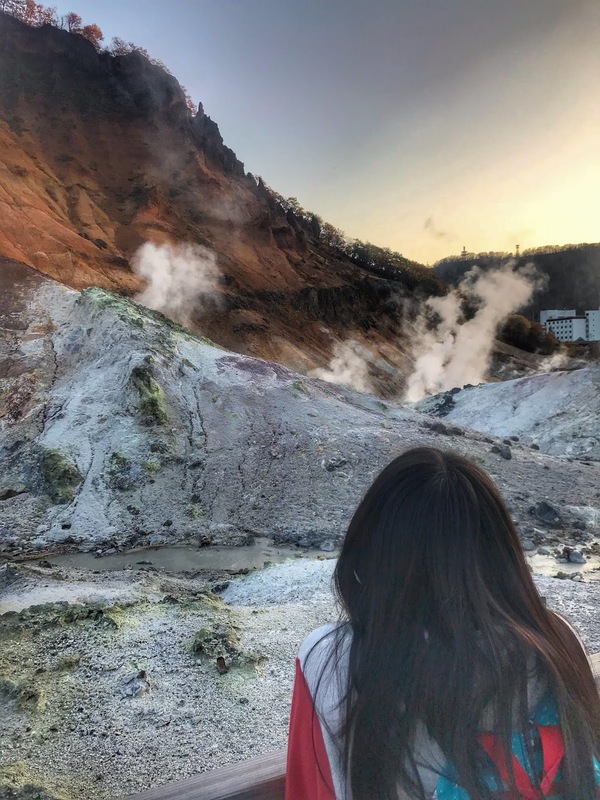 A major attraction here is Jigokudani, also known as "Hell Valley". Sulphuric steams raising from the streams and cracks of the valley gave this place it's notorious reputation. 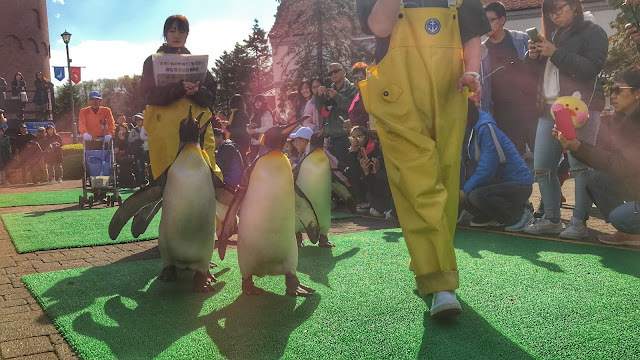 Beware of the many demons that "prowl"and protect this sacred place.Another highlight at Noboribetsu was also the Penguin Parade at the Nixe Marine Park. We visited Hong Kong (again) in November last year. It is almost my second home now as we would almost at least visit it once a year to visit my in laws. Many would think I have become a Hong Kong expert given my multiple trips there but I seriously do not think so. There are still so many new things to explore and learn every time we go there and I do not think I will ever get tired of this fabulous country. For our last visit, I have specially made an video to record the places we have visited. I always think that nothing beats the visual effect of a travel video. It was purposely recorded as a third party view (Charlotte as the lead, Alison and I in cameo appearance 😀) and I hope it brings viewers to an effect like a real time perspective experience as if as they were travelling with us at the same time. The travel video will bring you to the all time tourists favorite like the Wong Tai Sing Temple, Hong Kong Ocean Park, Victoria Harbour etc as well as less visited area such as the UNESCO Geo Park, Sai Kung, The Cats Tea Room etc. Alison had always wanted to pay Chiang Mai a visit and we took the June school holiday opportunity to fly there. Just like Penang, I last visited this mountainous city more than a decade ago. The vast difference is that Penang has changed much but Chiang Mai has not. The temples, elephants, night markets, people and food felt so familiar and I was glad the old city has retained it's rustic charm. You cannot see many high rise buildings. 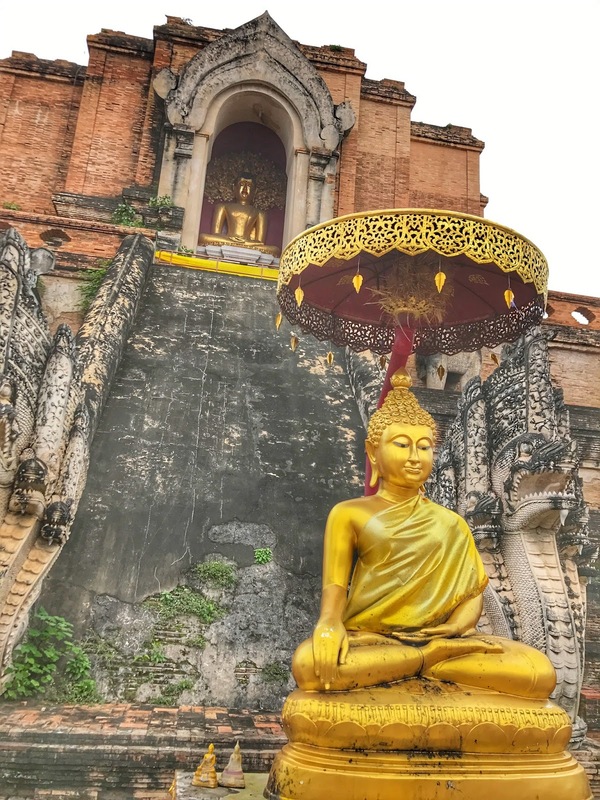 The Thais respect their temples and it's always disrespectful to build infrastructure that rise above any of the 300 over temples in Chiang Mai. We would visit the more famous temples like Wat Chedi Luang, Wat Phra Singh and Wat Phra That Doi Suthep . 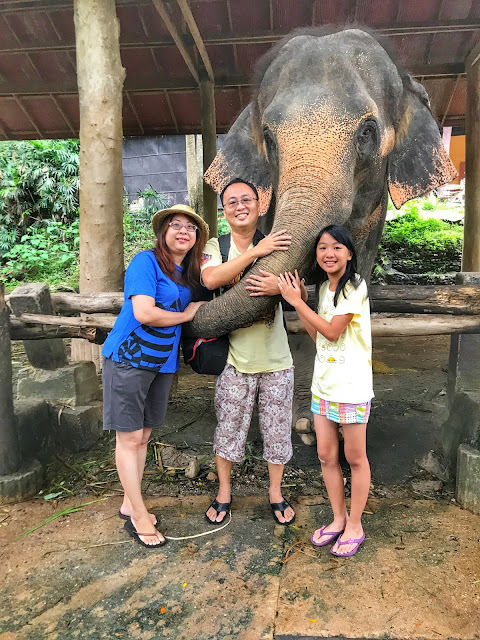 My daughter loves the elephants at Maesa Elephant Camp and we had a whale of a time playing with the baby elephants🐘🐘🐘. There are many online debates on the controversies of riding elephants but personally I feel that it takes tremendous budgets to feed and maintain the huge appetite animals. The money must come from some revenue. We also took the opportunity to visit Doi Inthanon National Park. It housed the highest mountain in Thailand (2565m). The temperature at the peak was around 15 degree Celsius when we visited and we had to pinch ourselves to remind ourselves that we were in Thailand, which was always hot and humid. The imposing King and Queen Pagodas that are situated near the summit were sight to behold. Shrouded in mist when we visited there, the area emitted a feeling that we were somewhere in heaven. The equally impressive Wachirathan Waterfall was somewhere we would always remember. We spent sometimes enjoying the spectacular sight and cool breezes created by the water dropping from a height of almost 80 meters. Many readers would know by now I am a "Temple man". In my itineraries, there would always be the presence of temples. But if you observe carefully enough, there is another destination I often included in my plan. Yes, Zoo is always another regular feature. We visited the Chiang Mai Zoo and enjoyed our day there. The park is massive and Charlotte enjoyed herself a lot feeding sheep, giraffes, emus elephants and deer. 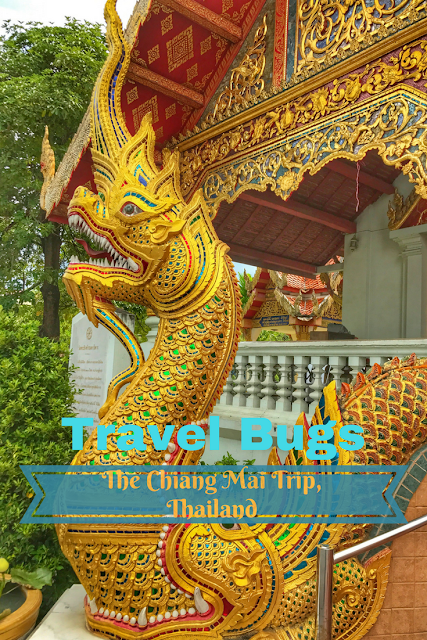 I specially created a 7 mins plus video to summarize our amazing trip in Chiang Mai. Hope you enjoy it and give a thumb up!!! Below is a brief plan of our 6 days visit. As usual, drop me a mail if you want a more detailed itinerary. Please give us a Like at our Facebook Page before your request 😉😉😉. Let us know if you are looking for a good local driver. We can recommend the one that we used for our trip.